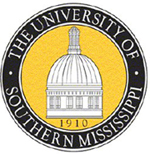 The University of Southern Mississippi is cracking down on students who attempt to gain free entry into sporting events with an invalid student ID, according to The Student Printz. At a recent baseball game the university checked and scanned student’s ID cards and found that one out of every ten weren’t valid. “We can easily assume this is the same trend for football. The university is losing a lot of money by allowing invalid students free entry,” said Kent Hegenauer, assistant director of athletics. The new verification system confirms students are enrolled at USM, allowing them free access to sporting events. Stickers are received at any one of the ticketing offices or designated validation locations. Students may bring multiple student IDs to be validated, and the stickers will remain valid for the entire season.